Beijing’s recent announcement that its new ice breaker, the Haibing 722 海冰 (Sea Ice),  had undertaken its maiden voyage patrolling the Bohai Sea is a signal of China’s growing prowess in the polar regions. Haibing 722 is the first of a new class of ice breakers developed as part of China’s strategy to pursue its polar interests. Alongside China’s ice breaking research vessel Xuelong 雪龙 (Snow Dragon),  the Chinese government is currently building a second vessel  to be used in the Antarctic. China is playing catch up in the polar regions and its capabilities are rapidly increasing. As Australia has claimed 42% of Antarctica since 1933—an area equal to three quarters of the size of mainland Australia—there’s no doubt that we should be more aware of Chinese interests and aspirations. Article 4 of the Antarctic Treaty provides that no Antarctic claim (there are seven)  are either disputed nor recognised, and further states that ‘no new claim shall be asserted while the present (Antarctic) Treaty is in force’ , effectively protecting Australia from other states making overt or public claims to our external territory. Australia has long maintained a leading role in Antarctic affairs, and can be considered a ‘norm creator’ when it comes to protecting the world’s last great wilderness. Australia, led by the Hawke government, took a leading role in establishing the Madrid Protocol,  which prohibits Antarctic mining and designates the continent to be a ‘natural reserve, devoted to peace and science’ . However, the landmark agreement will be up for discussion in 2048, should one of the Parties request a review. It’s thought  that China’s growing interest in the Antarctic could be partly associated with the possibility of a Protocol review which could ease restrictions on mining. China’s aspirations on the cold continent have been growing steadily since it first joined the Antarctic Treaty in 1983, and it has long been suspected  that Beijing is interested in the untapped resources the continent offers. Antarctica is speculated  to be home to oil, natural gas, coal, iron ore, manganese and hydrocarbon, as well as 90% of the earth’s fresh water resources, and possibly diamond reserves . It’s also home to fisheries , which include  Antarctic Krill and the sought-after Patagonian Toothfish. Despite the challenges of mining in the world’s most inhospitable environment, technological advances over the next 30 years  could make mineral resource extraction in the Antarctic a reality. Chinese President Xi Jinping’s 2014 visit to Hobart can also be seen an indication of China’s growing interest in the Antarctic. Yang Huigen, a member of Xi’s visiting delegation and the director general of the Polar Research Institute of China, stated  that Chinese research ‘is natural-science based’, but acknowledged growing ‘concern about resource security’. Shortly after the visit, the Polar Research Institute opened a new division within the organisation  dedicated to the study of geopolitics, law, governance and resources in the Antarctic. According to Antarctic specialist Anne-Marie Brady, ‘China’s rapid Antarctic…expansion reflects Beijing’s desire to become a maritime, and polar, great power’ . 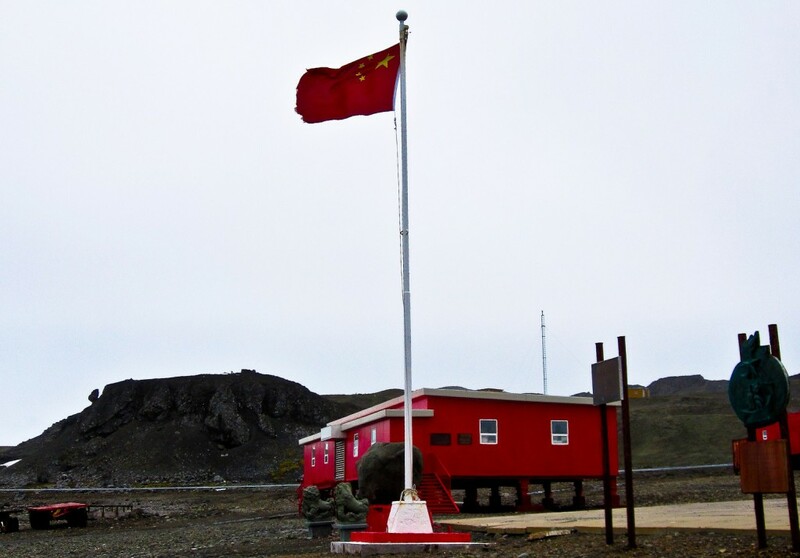 Brady also argues that the establishment of China’s firth research base ‘will consolidate China’s Antarctic interests and help make china a leading contender in polar affairs’. The reality of Australia’s relatively weakened position in Antarctic research isn’t lost on the specialists at the Australian Antarctic Division and other Hobart-based research bodies, such as the Antarctic Climate and Ecosystems Cooperative Research Centre  and the Institute for Marine and Antarctic Studies . Budget constraints  make their jobs increasingly difficult. The unveiling of Australia’s replacement icebreaker in 2015  is a welcome development, but greater resources are required if Australia is to protect its investment in its claimed Antarctic territory well into the future. Australia has benefited from Antarctic research cooperation with its Chinese counterparts , but we must prepare for a possible future where national interest trumps friendly cooperation. Alice Slevison is a former ASPI intern. Image courtesy of Flickr user Pete Hottelet.